In Part 1 of this 3 Part series, we emphasized 20 key steps to hazard identification as the core of any safety program providing steps for identification as well as evaluation and testing methods per the blog post: "Reactive Hazard Identification Key To Chemical Engineering Process Safety" on November 14, 2013. Fauske & Associates, LLC (FAI) has long been a leader in identifying the hazards of reactive chemicals. This leadership started when FAI was selected as the principal research contractor for the Design Institute for Emergency Relief Systems (DIERS), an extensive R&D program sponsored by 29 companies under the auspices of AIChE and completed in 1985. Company founder, Dr. Hans K. Fauske, served as the principal investigator and overall leader of the DIERS research project. A primary purpose of that effort was evaluation of emergency relief vent requirements, including energy and gas release rates for systems under upset conditions and the effect of two-phase flow on the emergency discharge process. 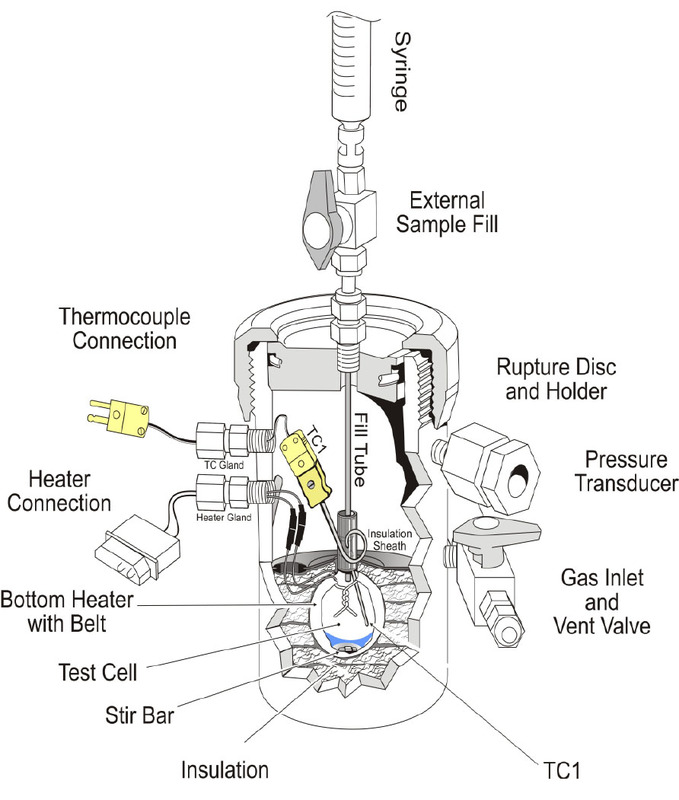 The DIERS program resulted in the development of a bench scale low thermal inertia adiabatic calorimeter, which was commercialized by FAI as the Vent Sizing Package (VSP™). Later improvements led to the VSP2™. More recently, the Reactive System Screening Tool (RSST™) was introduced by FAI in 1989 to provide an easy to use and inexpensive approach to the DIERS testing method. Subsequent enhancements led to the Advanced RSST (ARSST™) in 1999. The accuracy and ease of test cell data make the ARSST™ an industry leader. Safe process design requires knowledge of chemical reaction rates, flow regime (gassy, vapor, hybrid, etc.) and energy release rates, all of which can be obtained through adiabatic calorimetry testing. Such testing provides data for relief system design, safe scale-up of chemical processes and changes to process recipes. LOW PHI-FACTOR ADIABATIC CALORIMETERS - FAI uses the DIERS-based VSP2™ and ARSST™ calorimeters to characterize chemical systems and design emergency pressure relief systems. The Vent Sizing Package 2™ (VSP2™) is a low thermal inertia adiabatic calorimeter used for process hazard characterization that utilizes state-of-the-art DIERS technology to obtain critical upset process design data. The ARSST™ is a low thermal inertia calorimeter used to obtain critical upset process design data. FAI offers the ARSST™ along with options for customization such as a high-pressure vessel and flow regime detector, as well as commonly used items including test cells, heaters, glands and thermocouples. A variety of process upset conditions can be tested to satisfy hazards identified by a PHA (Process Hazards Analysis) or HAZOP study. The low phi-factor (or thermal inertia) allows the heat and gas generation rates to be measured and directly applied to the process scale, which leads to appropriately designed emergency relief systems. FLOW REGIME DETECTOR (FRED™)Knowledge of the prevailing flow regime during emergency venting of a runaway chemical reaction is essential in order to estimate a realistic but safe relief system design. FAI offers a Flow Regime Detector (FRED™) for use in conjunction with the ARSST™ calorimeter to distinguish between foamy and non-foamy runaway reactions. PRACTICAL EMERGENCY VENT SIZING SOFTWARE (PrEVent™) FAI’s PrEVent™ software allows users to implement practical emergency vent sizing designs utilizing industry recognized methodology, including the Leung Omega, Fauske Gas/Vapor and Fauske General Screening methods. The software applies DIERS methodology for reactive chemistry and API 521/2000 or NFPA 30 for non-reactive systems. 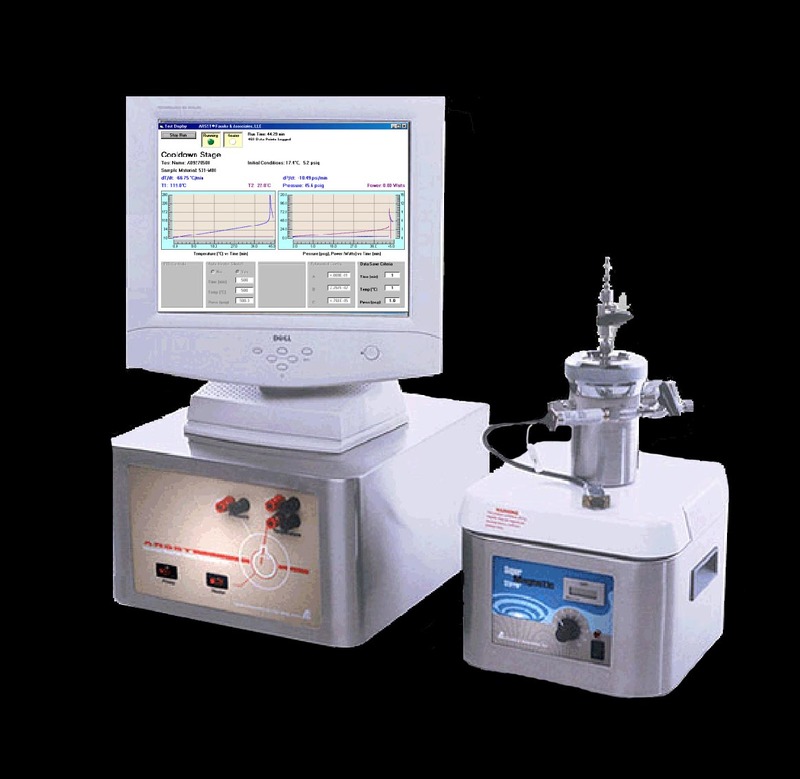 The program and interface are designed to be used in conjunction with data provided by the VSP2™ or ARSST™ and is a great companion to any low phi-factor adiabatic calorimeter. Based on DIERS two-phase flow methodology, which is recognized by OSHA as “an example of good engineering practice”, the ARSST™ device is also capable of generating low phi-factor data for DIERS vent sizing. The ARSST™ enables users to quickly obtain reliable adiabatic data which can be used for a variety of safety applications, including characterization of thermal stability and reaction chemistry. Test data includes adiabatic rates of temperature and pressure change which, due to the low thermal inertia, can be directly applied to process scale to determine relief vent sizes, quench tank designs and other relief system design parameters related to process safety management (PSM). ARSST™ tests are used to model such upset scenarios as loss of cooling, loss of stirring, mischarge of reagents, mass-loaded upset, batch contamination and fire exposure heating. Data derived from ARSST™ testing yields critical experimental knowledge of the rates of temperature and pressure rise during a runaway reaction, thereby providing reliable energy and gas release rates which can be applied directly to full scale process conditions. This easy to use and cost-effective calorimeter can quickly and safely identify potential reactive chemical hazards in the process industry. FAI manufactures and sells the ARSST™ along with options for customization such as a high-pressure vessel and Flow Regime Detector (FRED™). FAI also stocks commonly used items such as test cells, heaters, glands and thermocouples. Part 3 in the series will conclude with: "Exploring the ARSST™ As A Tool For Educational & Industrial Applications". For more information on the ARSST™, chemical process safety and engineering, please contact; Jeff Griffin, griffin@fauske.com, 630-887-5278. www.fauske.com.